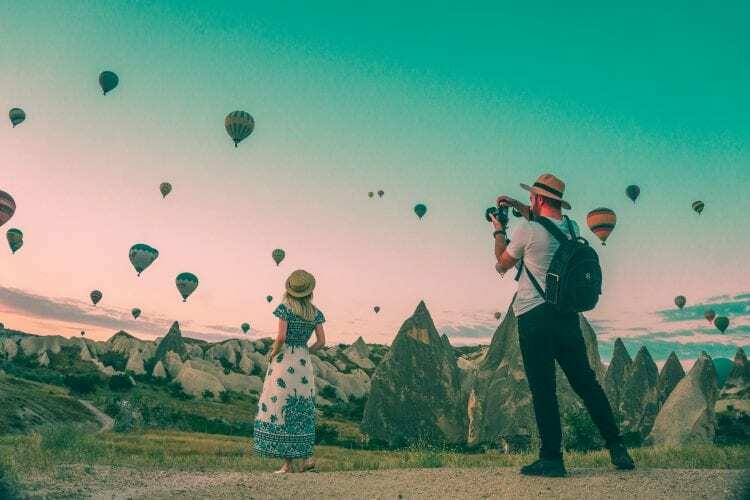 Spending money on experiences like travel rather than material things seems to be the latest spending trend taking the world by storm, and it’s not hard to see why. 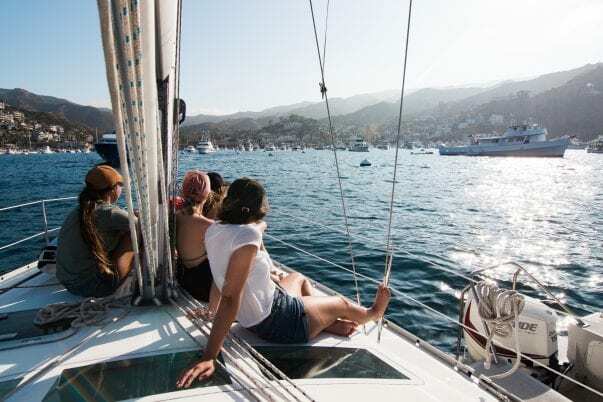 A study by Harris Group found that Millennials are leading the way in the trend (of course they are) and prioritizing spending more of their money on experiences, and less of their money on material things like gadgets, homes and cars. It’s not just millennials, though. More and more people from every generation are coming to the realize the positive effects of traveling and that experiences such as learning new skills, travel and new hobbies lead to more ultimate satisfaction than buying the latest phone or accessories do. In a consumerist culture where everywhere you go you are pressured to buy more stuff, more and more of us are choosing to spend that money on travel instead! Travel just has a way of making us happier than the latest gadget – and here’s why. When you’re traveling for weeks or months at a time, you are bound to experience bouts of loneliness! 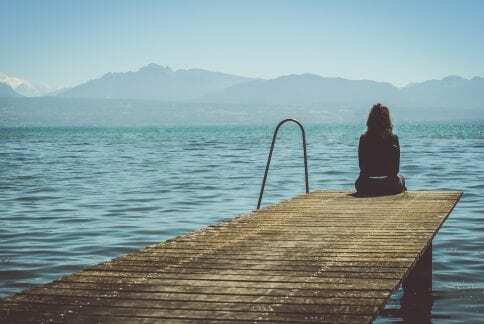 While it feels isolating at the time, this actually causes us to appreciate the people in our regular lives even more and is one of the most positive effects of traveling. 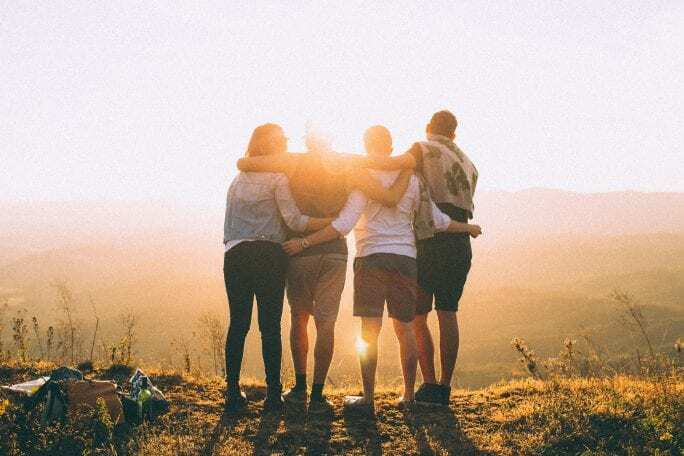 Friends and family you once took for granted suddenly become a much more important presence in your life, leading to more fulfilling and connected relationships when you return. When traveling, things will go wrong. It’s inevitable! Maybe your flight gets canceled, you experience issues with a language barrier or something else entirely. For some people, it can totally ruin a trip but, for others, it’s an enriching learning experience. This is one of the little-known positive effects of traveling: you gain so much self-confidence by proving to yourself just how resourceful and reliable you are when trouble arises in another country or unfamiliar locale. You never know just what you can do for yourself until you have no other option! Another confidence booster is just being out in the world, navigating yourself and having new experiences. Travel allows us to experience so much more than our home culture and worldview and that often changes how we view ourselves, too! Whether it’s learning how to, sail a boat, ride a scooter, cook a new food or learn a new language, you almost always return home from a trip a little wiser. 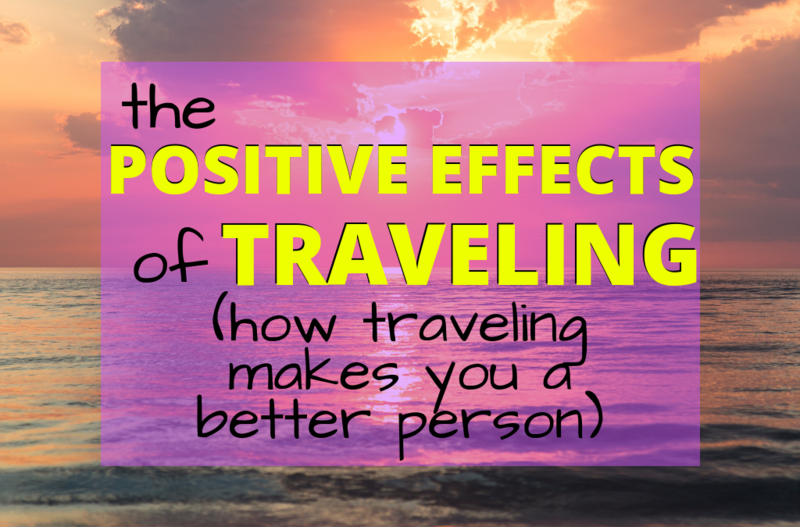 This is one of the most useful positive effects of traveling – think of it as leveling up! These new skills you learn while traveling can lead to a new hobby or passion when you return which ultimately enriches your life. Even just the act of learning a new skill challenges our brains – and an active brain is a happy brain according to science! When traveling, your worldview is often shattered by what really is, and that’s almost always a good thing! You learn more about different cultures and places in the world and change the narrative you previously held based on stereotypes and what you’ve heard from other people. In my opinion, one of the most positive effects of traveling is the shattering of what you previously believed and accepted as your reality. It can be jarring at first, but ultimately leads to a more open mind and accepting worldview. Because of this, you often learn a lot about yourself as well. 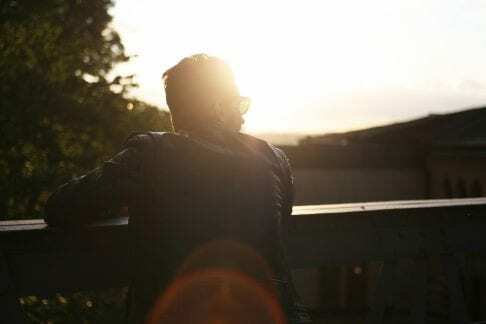 There is much time for introspection and reflection when you’re traveling, and there’s just something about being in a new place that causes you to want to be better versions of yourself. This combined with introspections leads you to look inside at your currently held beliefs and values, understand why you have them and even start to make changes to be a better you! Personal development and learning to spend quality time with yourself leads to a more satisfying life experience. The memories are perhaps the best part of a trip, and sometimes they even trick us! 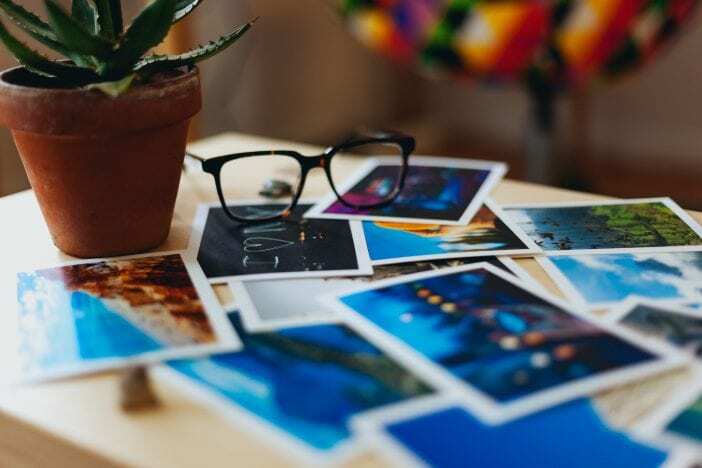 Nostalgia has a funny way of helping you remember only the good times about events in the past, so even if you have a challenging experience on a trip, the chances are your memories of the trip itself will be mostly comprised of the highlights! The photos and memories of trips taken will last us a lifetime and there’s just nothing material that can compare to that. In 30 years, you will likely find yourself reminiscing about an amazing journey you had – not the iPhone you bought. New friends are made, bonds are strengthened and travel just changes you in a way that nothing else can. Travel is an addiction and not one that’s necessarily bad for you either! The more you travel, the more you want to travel. That means you spend more time reminiscing about old trips and dreaming and planning new ones. This tends to keep you in a great mood and always looking forward to the future. 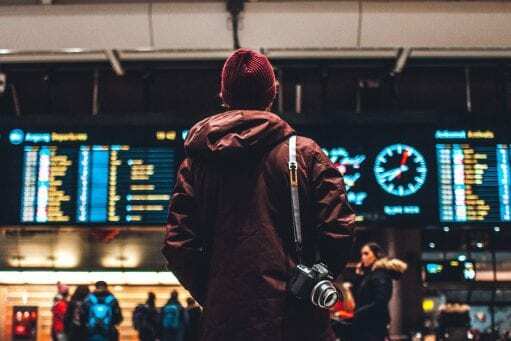 It is one of the unexpected positive effects of traveling, and while it might not seem positive on your wallet, it forces you to come up with new and inventive ways to fund your new addiction. This can ultimately lead to a new business venture that either allows you more money for vacations or even a way to make money remotely so the vacation never has to end… And that’s a pretty happy ending, isn’t it? It’s pretty clear to see that travel changes your life, often in unexpected ways. 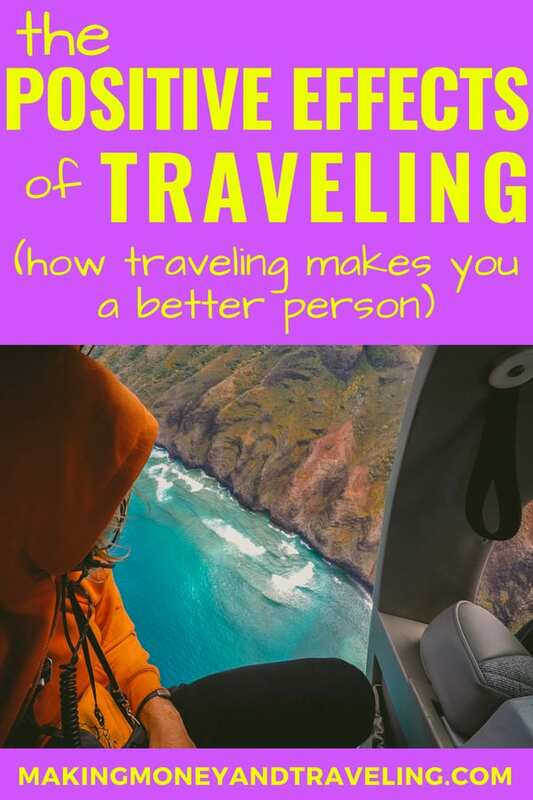 Whether that’s because it saved one of your relationships, caused an awakening or enlightenment within you, or introduced you to your new favorite hobby, you never know what underlying benefit you’ll get from traveling to a new place! If you become addicted to traveling, the good news is that the adventure never has to end if you don’t want it to. 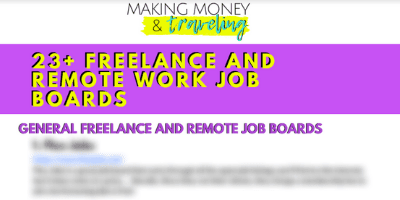 You’re on a blog called Making Money and Traveling, after all! 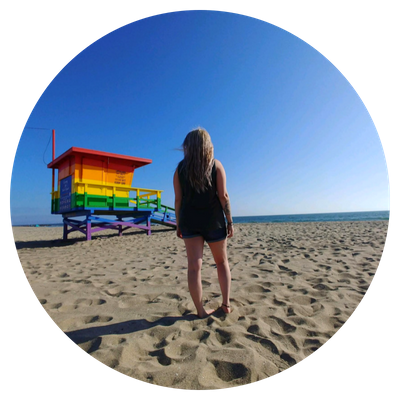 Read this post for 20 signs you may be destined to be a nomad!